As the last wave of Minor League Baseball leagues across the country take the field to kick off the 2018 season, two Stony Brook Baseball alumni are getting their first shot at professional ball. 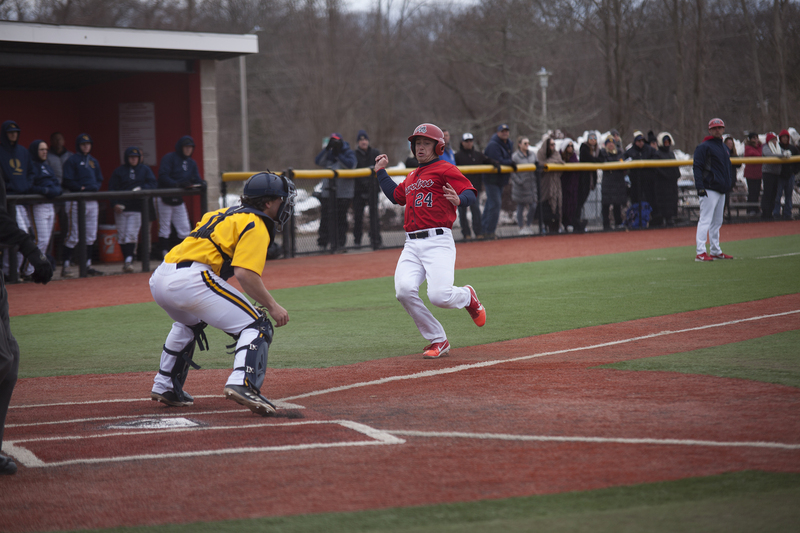 Two members of Stony Brook’s 2018 team were selected in the Major League Baseball Draft on June 6. The Cleveland Indians drafted alumnus Aaron Pinto in the 24th round and the Seattle Mariners picked alumnus Bobby Honeyman in the 29th round. Both players signed minor league contracts, and have begun their professional baseball careers. Honeyman, an infielder who primarily played third base for the Seawolves, signed as a shortstop for the Mariners and was assigned to the Everett AquaSox of the Northwest League. Honeyman went 1-4 in his debut game, and currently sports a .382 batting average in ten games played. Pinto, the Seawolves’ closing pitcher in 2018, has appeared in five games with the Indians’ second Arizona League club. Pinto has struck out five batters in six innings, while allowing five hits. Honeyman hit .336 in 57 games last season with the Seawolves, driving in 33 runs and launching two home runs. He earned an All-America East Conference honor and was the only Stony Brook player to start in every game. Pinto went 5-2 with a 1.05 earned run average in 23 appearances, was also selected as an All-America East Conference player and set program records for most saves in a single season with 12 and most saves in a career with 15. Stony Brook Baseball has had at least one player drafted to MLB in eight of the last nine years, including seven straight years from 2010-2016. There are currently two former Seawolves active in MLB — Los Angeles Angels pitcher Nick Tropeano and San Diego Padres outfielder Travis Jankowski. Pinto and the AZL Indians 2 take on the AZL Angels on Friday, June 30 and Honeyman and the AquaSox will continue their series against the Eugene Emeralds on Sunday, July 1.